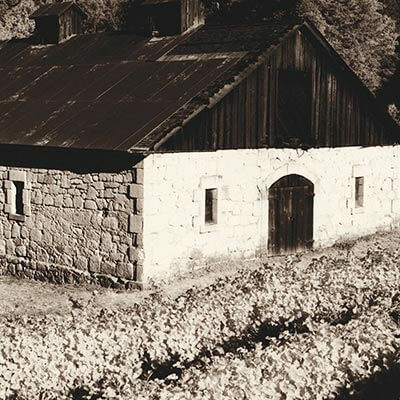 1870 - 1879 | La Jota Vineyard Co.
Englishman Edwin Angwin purchases land on Howell Mountain, and establishes a health resort, which flourishes for 30 years and brings an influx of people to the mountain. The town on Howell Mountain’s plateau bears his name. Winfield S. Keyes marries Flora Hastings, daughter of Judge S.C. Hastings, the first Chief Justice of the California Supreme Court. Hastings gives a portion of his land holdings to the newlyweds for a new winery venture, Liparita-La Jota. Soon after, Keyes builds the stone winery, which still stands today, just a few miles from La Jota.